Congratulations! 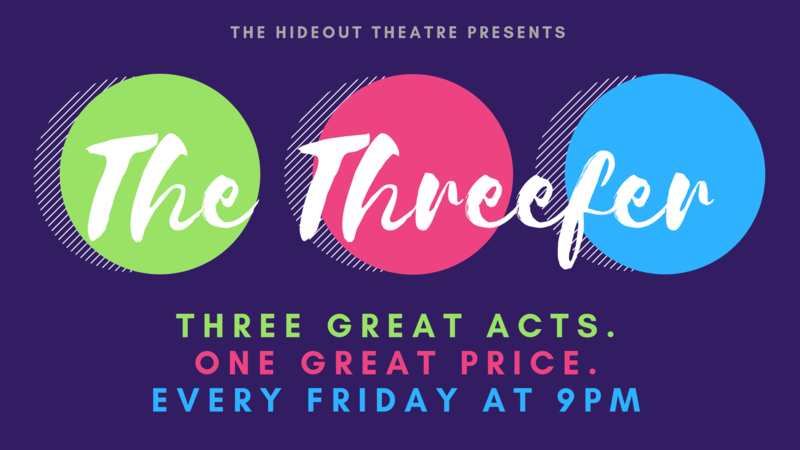 You’ve stumbled across The Threefer, Austin’s original Improv Variety show. This is where improvisers come to show off what they got and to watch each other tear up the stage.